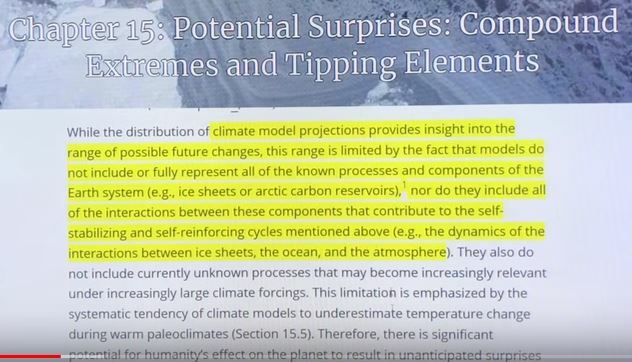 An amazing thing about the recently release US Climate Report (more discussion, last post) is the open acknowledgement in Chapter 15 that huge risks exist for our Earth systems to tip into new states. Not mentioned is that these states will severely stress civilization and life on our planet. In addition to the “usual suspects” for tipping: Arctic, rainforests, etc. there is a new kid on the block; namely Equatorial Atmospheric Super-rotation, which would completely rewire our global atmospheric circulation. There is no such thing as a “new normal” in climate. You ain’t seen nothing yet. 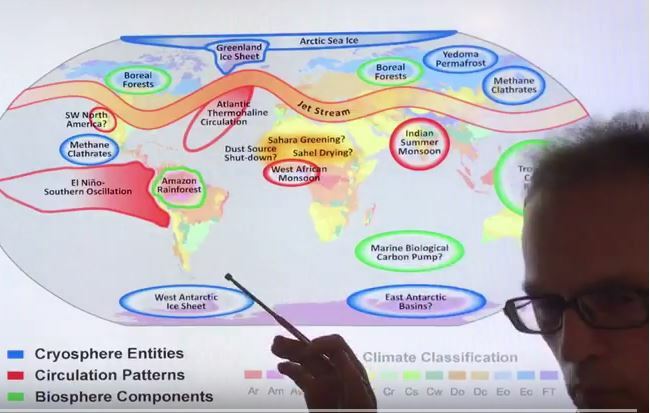 Our Earth System is highly nonlinear, with multiple accelerating feedbacks taking us closer to crossing irreversible tipping points that will completely change the dynamics of atmospheric and ocean circulation, the cryosphere and our biosphere. Essentially changing everything on our planet. 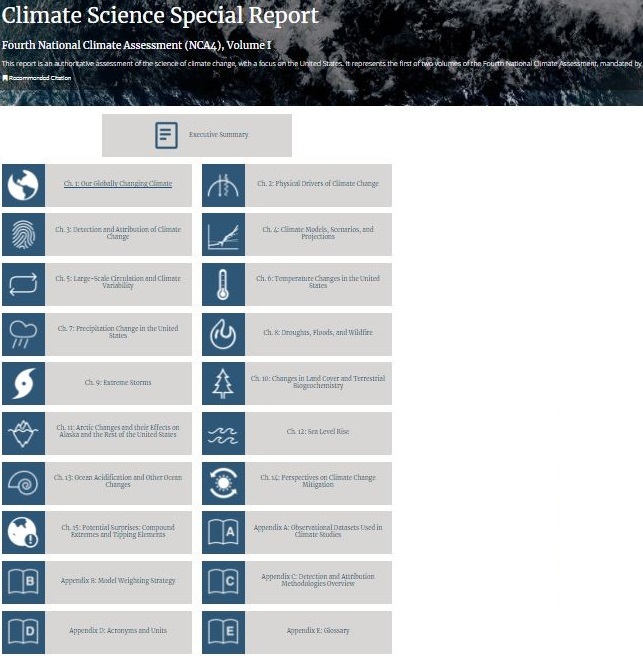 This entry was posted in Basic Science, Catastrophe, Climate, Climate Change, Collapse, Geography, Global Warming, New, New Video, Oceanography, Rapid Climate Change, Science, Tragedy, Videos, Warnings, Weather and tagged Abrupt Climate Change, Amplifying Feedback, Arctic, Arctic Ocean, Atmosphere, Braking Feedback, Cascading Feedbacks, Climate, Climate Casino, Climate Change, Climate Instability, Climate Stability, Compound Events, Drought, Equatorial Atmospheric Super-rotation, Equatorial Atmospheric Superrotation, Feedback, Feedbacks, Flood, Global Warming, Hadley Cell, Jet Streams, Negative Feedback, Nonlinear, Oceans, Positive Feedback, Rain Forests, Sea, Sea Ice, Sea Ice Thickness, Storms, Thresholds, Tipping Elements, Tipping Points, Weather, Weather Weirding, Weather Whiplashing, Weather Wilding. Bookmark the permalink. “Tipping points” does not work for me as a phrase. Pop neoliberal journalist Malcolm Gladwell spearheaded the use of the weaselly term, whose meaning is hard to pin down. I assume it stands for the much more emphatic “point of no return.” Perhaps that is not what you mean. In any event, thanks for your great work.